Today Pres. Barack Obama released a statement on the death of Leonard Nimoy. I grew up a huge fan of the Mighty Morphin Power Rangers, apparently so did Hollywood film produced Adi Shankar. Shankar, along with some of his friends--notably James VanDerBeek and Katee Sackhoff-- produced an amazing "bootleg" version of the show that dropped on Youtube today. For Shankar, the "bootleg," which is more a fan film than a bootleg, is just the latest in a line of short films he produces for fun. For those of us worried about what the upcoming MMPR reboot movie could be, we can only hope that Shankar is somehow involved. While it's extremely unlikely for the movie to go nearly as dark or gritty as this, a fanboy can dream. Playing over at Funtrivia, I came across this awesome quiz on Batman's Rogues Gallery. Check it out HERE. Play Quiz: The Dark Knight's Rogue Gallery now! For any of my trivia liking friends, check out FunTrivia at the link below. There are enough features there to keep you busy for weeks. 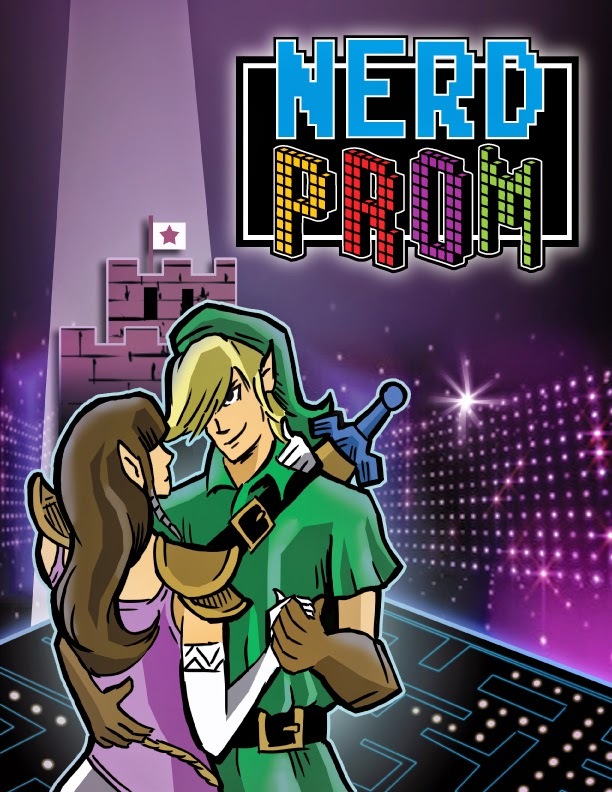 Prepare yourself for the romantic yet nerdy event of 2015: The Nerd Prom! Brought to you by the people who produce the Grand Rapids Comic-Con, the Nerd Prom is an all-ages dance, the one that you wish you would have in high school! Dance the night away in a gaming-themed setting and decor, a professional DJ, posed photo opportunities, and a lot more! The Nerd Prom starts at 7 pm and runs until midnight and will be held at the HSB Building, 5625 Burlingame Ave. SW in Wyoming, Michigan. Everything Brownies and Fresh Berries!